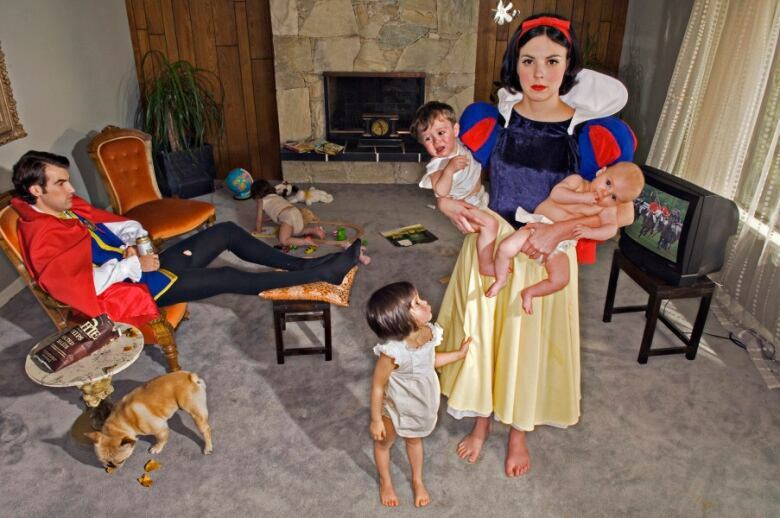 Dina Goldstein has been photographing princesses and icons for a while now, but there's always something twisted in her fairytales. Dina Goldstein has been photographing princesses and icons for a while now, but there's always something twisted in her fairytales. Barbie finds her life with Ken isn't what it was supposed to be. Snow White is not quite the woman you remember from the story.These might be images that will unsettle daydreams of perfect lives, but they also tell tales of survival and fortitude. Snow White prevails, and Barbie will get on with her life. In her new series, Goldstein is traveling decades into the past as she also looks at present-day Vancouver. This short doc from Exhibitionists — directed by Lisa Wu — offers a chance to go into the studio and take a look at how Goldstein builds her worlds and tries to open up a dialogue.